We make paying rent as easy as 1, 2, 3. Literally. 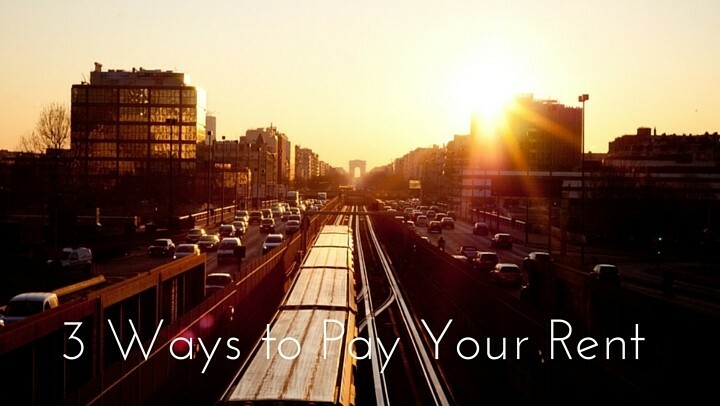 Here are 3 ways you can pay your rent! Maybe you like the security of handing your rent check to someone. Maybe you want a copy of your check. Or maybe you want to come visit with us (we love seeing you!). If that’s you, you can stop by the leasing office during office hours and drop off your check with any of our staff! We’re happy to help! Maybe you remembered late last night that your rent check is due tomorrow. Or maybe you want to conveniently drop off a check without hanging out with us. Either way, we have a conveniently placed drop box located on the wall to the right of the leasing office entrance. Just drop your check right in the slot and continue on with your evening! The ultimate in convenience and a sure-fire way to NEVER forget, you can login to your Active Building Resident Portal. On the left side of the screen, you’ll have the option to ‘Make a Payment’. Once you click, you’ll be taken to your account, where you’ll see your rent amount and any other balance due (water bill, late payments, etc.). If this is your first time paying rent online, you’ll need to set up your payment account (see tutorial here). The beauty of paying online: you can set it up to pay automatically on any date you choose as well as make multiple payments throughout the month. It’s all controlled by you! Do we accept credit cards for rent payment? We do. You would set it up through the online resident portal. You can call the toll free number listed there to use the automated phone system, or you can set it up to automatically charge every month. This is where you input the verification code. Please remember that using a credit card incurs a $35 processing fee. Yes! Please remember to add an extra $10 for processing when paying with a money order.